When you’ve been doing this as long as I have, the holidays seem to occur at a faster rate every year. For instance, before I can take two breaths, I’m writing about Christmas again. Now it’s nearly February and I’ve already been writing Romance in the Rockies posts for The Heidi Guide. Of course, I believe we should celebrate love year round, but it’s nice to have one day to celebrate emotional devotion with silly cards and hearts in varying shades of red. Here are a few random Colorado Valentine’s Day ideas that will have your partner believing that you are a genius when it comes to love. It’s really just a list of stuff I’d love to do this Valentine’s Day so I hope my husband reads this. If you’d like Valentine’s Day bragging rights, take your love to the Sweetheart City, also known as Loveland, Colorado. There are lots of hotels with February specials in Loveland and the town also throwing a big Sweetheart Festival on February 8 and 9. 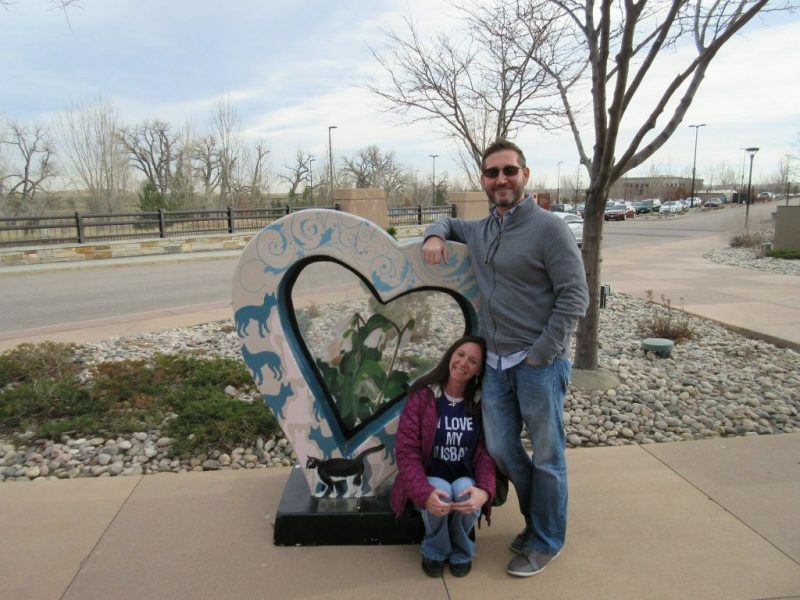 In addition to the brand new and larger than life Love Locks sculpture that will be on display downtown during the festival, visiting couples can find five foot tall, 4.5 foot wide HeARTS around the city. It’s part of the City with HeART project, run by the Loveland Chamber of Commerce. Finding these heARTS during a weekend getaway to Loveland and can lead to even more discoveries around town. Grab a map of the heARTS locations at the Visitors Center. Enjoy the active restaurant scene downtown or go bowling at a throwback venue, Sweetheart Lanes. Check out the city’s many breweries or enjoy a bottle of wine at Sweet Heart Winery in west Loveland. If cocktails are more you’re thing visit Big Fat Pastor Spirits, a distillery north of town. There’s never a dull moment in the land of love, Loveland, Colorado. I highly recommend the bistro inside of Cheese Importers. 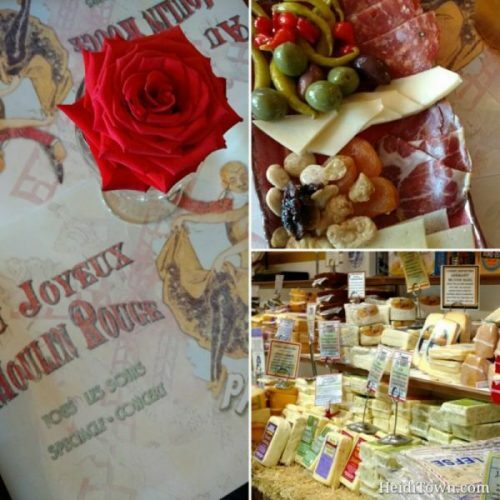 If you’ve never been to the Cheese Importers in Longmont you’d better have the excuse of lactose intolerance because I think it’s the best place on earth. It’s perfect for every occasion including romance. This place is a slice of Paris, a sliver of paradise and a whole lot of wedges of cheese all on the train tracks in Longmont. Make a weekend of it by booking a room at Thompson House Inn and enjoy all the everything the city has to offer. Start planning your getaway at Visit Longmont. Who doesn’t want their love to buy them the $10,000 Valentine’s Day package from The Crawford Hotel? This package is available and you can get all the details here, but if that’s a little pricey, romance packages at The Crawford start at just $229 and believe me, you want to stay here. Denver Union Station, July 9, 2014. Photo by Ellen Jaskol. Located at Union Station, this is one of Denver’s most magnificent hotel properties. Staying inside a transportation hub is a dynamic experience, plus, the station features an array of delicious dining options, shopping and coffee shops. 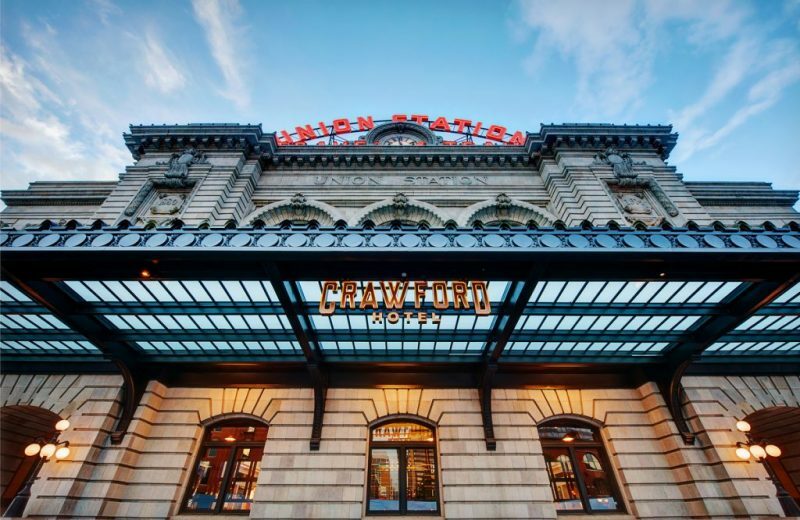 A stay at The Crawford is the ultimate Denver vacation. The Oxford, one of Denver’s most historic hotels, and a personal favorite (not just because of Whiskey Hour), is also offering Valentine’s Day packages. Get the lowdown here. The Curtis, one of the most fun hotels in Denver, is celebrating Valentine’s Day in true Curtis fashion. Their #TwistedLove package is sure to spice things up in your love life. Or, you can celebrate Galentine’s Day with the girls with the #SquadGoals package. Learn more here. Last, but certainly not least, The Maven, located near Coors Field, is getting into Valentine’s Day too. They are celebrating love with chips and salsa and cocktails with their The Mavens of Love package starting at just $199. These hotels also do specials for Colorado locals so if you are lucky enough to live in Colorado you can have a date night in Denver at any time. Whether it’s a night at the Colorado Symphony or a play that includes dinner in Boulder, a night out at the theater can be romantic, as long as you’re not seeing something like Spongebob Squarepants for the stage (even though this is romantic to some couples). 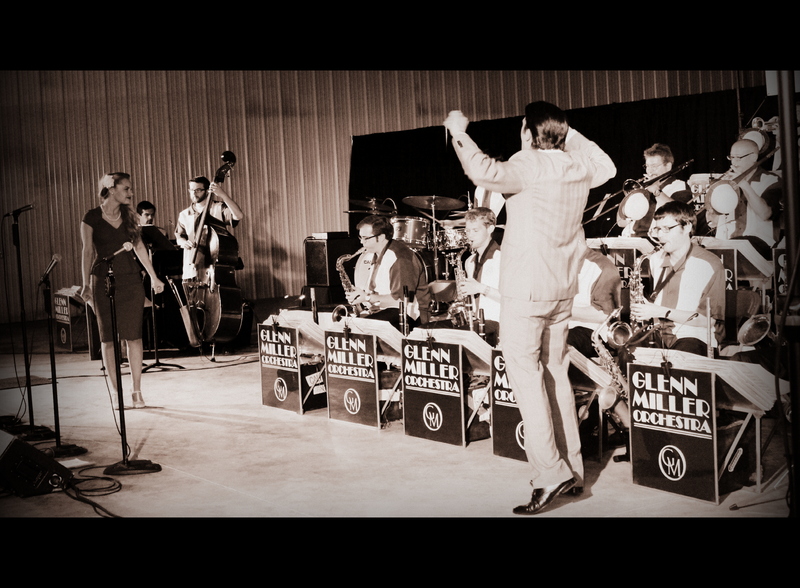 The Glenn Miller Orchestra plays Glenn Miller Swingfest in Fort Morgan, Colorado in 2014. Dinner theater can provide the ultimate evening of entertainment and you’ll never have to leave your seat. Boulder Dinner Theater is a favorite of mine and “Disenchanted” is on stage through March 31. Glenn Miller Orchestra is taking the stage in Boulder at the end of February. I’ve seen this famous orchastra in action and they’re a toe-tapping good time. Other dinner theaters in Colorado include Candlelight Dinner Playhouse in Johnstown, Midtown Arts Center in Fort Collins and Jesters Dinner Theater in Longmont. If you know about more dinner and a show opportunities around the state, please leave a comment/link below because I want to check them out.